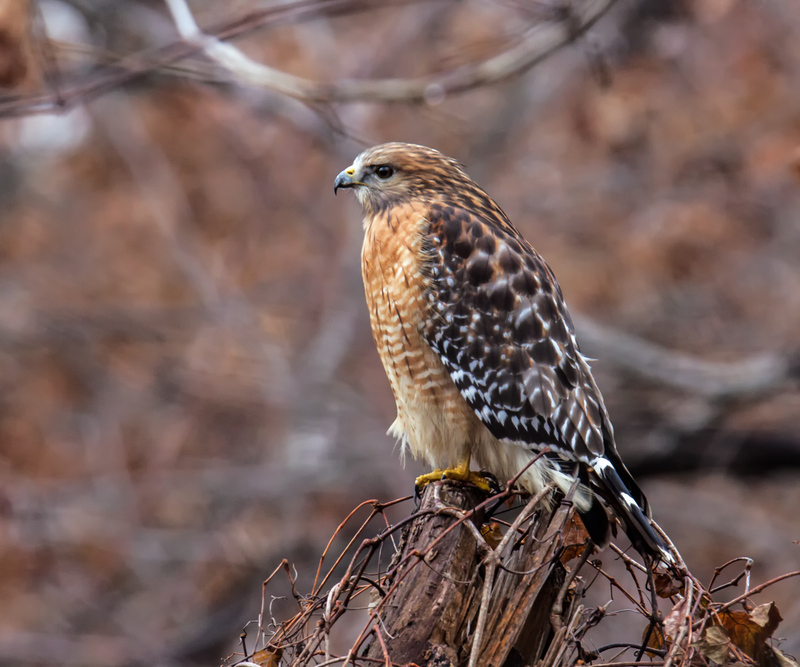 I didn’t have to go far to find this Red-shouldered Hawk (Buteo lineatus)—I spotted it while walking a friend’s Cocker Spaniel in my suburban townhouse neighborhood. 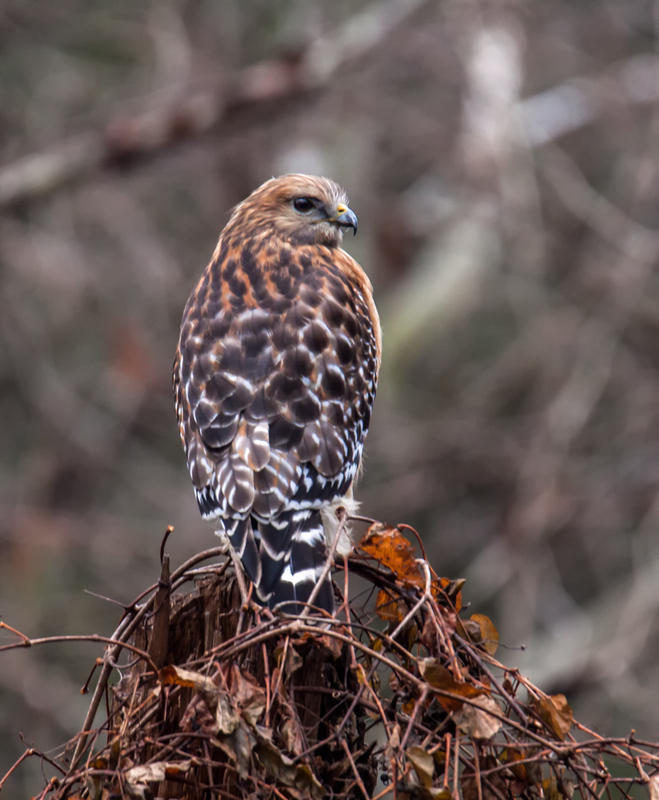 I rushed home to get my camera and was thrilled when I returned to find that the hawk was still perched on a broken-off tree in a small marshy area. Great photo! I’ve seen hawks while walking out dog but not close enough to capture. I have heard hawks screaming multiple times in my neighborhood, but this was only the second time for me to actually see one (and the first time to get a photo of one). Nice Mike! Always fun to photograph hawks! Beautiful bird! Imagine the sharpness at the pointed end of his beak. Beautiful captures, Mike, and both with excellent backgrounds! You’ll be looking in that spot every day now. It’s good reasoning, birds stick to what works!